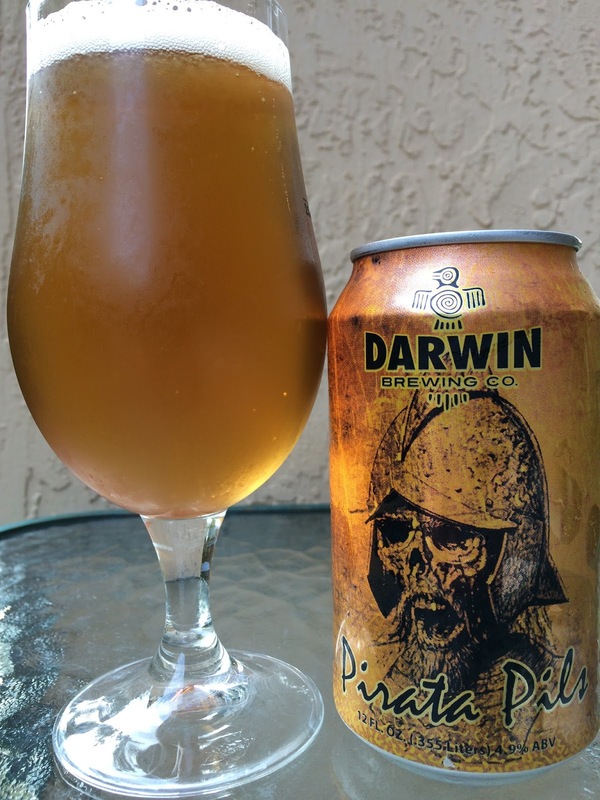 About a year ago, Bradenton's Darwin Brewing launched their beers into distribution in Southeast Florida. I had the chance to try a bunch of beers that night, but none were packaged for drinking alone at home. Darwin Santa Maria is the namesake of the brewery, though they have incorporated a Charles Darwin Finch into their theme, along with their "Andean Influenced Beers" tagline. Well, some of their beers are finally being canned and distributed here in Miami too, and I picked them up this afternoon. 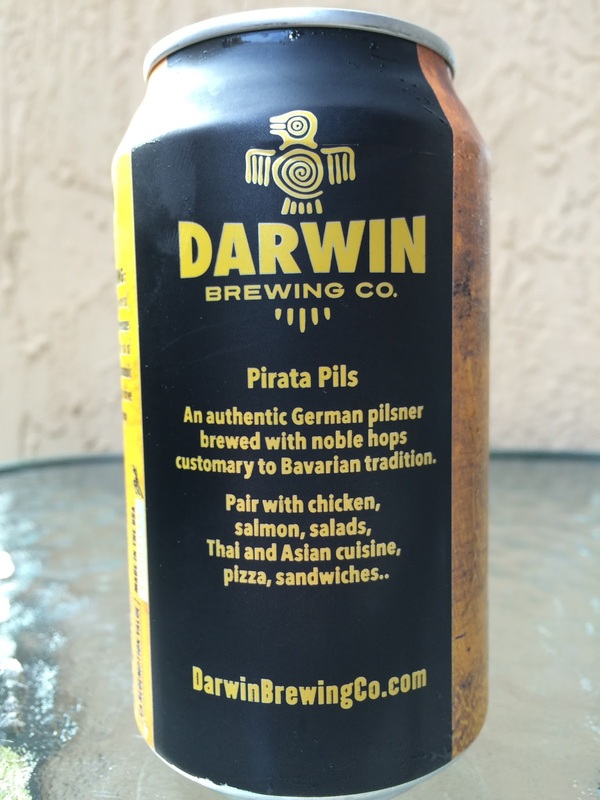 I started with Pirata Pils, "an authentic German pilsner" and probably not one with too much Andean flavor. What a terrific design on this can! Skeleton pirate with head armor is all pissed you're not buying more Pirata Pils! 4.9% alcohol. Great aroma, full of rich grain and buttery toasted bread. Flavors are really nice too. Toast, nice bready sweetness. That is challenged by some lightly fruity, spicy and hoppy bitterness. Good body. Nippy hits on the palate. The lingering toast flavor and bitterness are great, though I wish the bitterness was a little sharper. I could easily down a lot of these and my wife LOVED it! Grab a sixer!